Hand'Solo Records » Blog Archive » Tachichi to play $5 Rap Show on June 14! 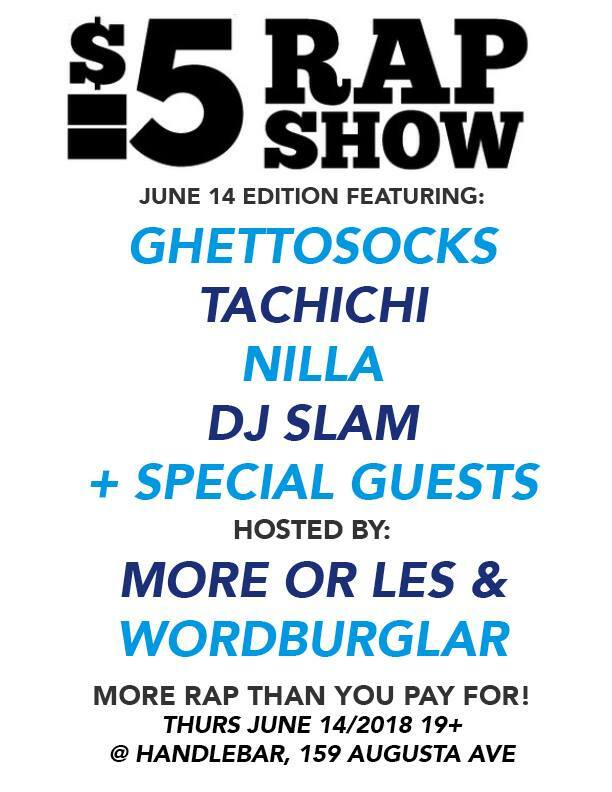 Home Bass > Tachichi to play $5 Rap Show on June 14! Halifax rap vet Tachichi returns to Toronto and hits the $5 Rap Show stage at Handlebar for the first time. T is joined by his Sipset compatriots Ghettosocks and NiLLa. And as always, expect performances from hosts Wordburglar and More Or Les. I hope to see you there on June 14!